We are unable to accept grant applications for electric heaters at the moment, however you may still be eligible for funding elsewhere. Did you know that you could be eligible for a FREE grant to replace the electric storage heaters in your home? 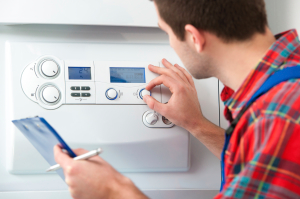 The Government’s ECO Scheme was set up in 2013 to enable low income households to improve the energy efficiency of their heating and save money on their bills. Complete our simple form today and check if you’re eligible to receive to a FREE grant under the scheme. Heating our home is a costly task and with energy costs set to rise even higher in the coming months it can feel like an uphill struggle. The Government are trying to help the lowest income households in this struggle via the ECO (Energy Company Obligation) Scheme. 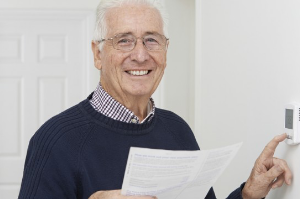 Originally introduced in 2013, the scheme means that larger energy suppliers like British Gas, EDF Energy and Scottish Power are legally obliged to help their customers to save money on their heating bills. They do this by funding grants that you can use to improve the efficiency of your heating system and/or install better insulation. 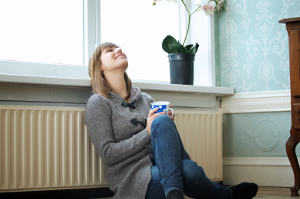 In short, if you are in receipt of certain benefits, you could be eligible to receive a grant for some or all of the costs of replacing your inefficient or broken electric storage heaters. While the scheme was originally targeted at homes with gas and oil heating systems this was recently amended to include homes heated by electric. If you live in Northern Ireland you are not eligible for ECO, but can claim a Warm Homes Grant instead. Check out the Home Heating Guide for more information. ECO is not available to those living council properties but homeowners and private tenants can apply. If you’re a tenant, you’ll need to get permission from your landlord. It’s possible that the full cost of new electric storage heaters will be covered by the grant, but it’s more likely that you’ll need to pay something towards it. The good news is that it will be far less than you would normally pay. You’ll see some big savings on your energy bills too. To qualify for an electric storage heater grant you must receive specific benefits and meet certain criteria. You’ll find all the details you need on our qualifying criteria page. Just fill in our quick form to see if you are eligible.